Prefer the Spanish version? Click here. Is the consumption profile stable? Are there any new connections points? Can different sites be grouped under the same contract? What type of energy buyer are you: a budget risk client or a survival risk client? Historically, Mexican power consumers only had one option if they did not want to stay in the CFE regulated market: participating in a self-supply agreement with a private generator. This modality of power contracting consists on a partnership between a generator and a consumer. Usually, the price structure of these contracts is based on a discounted CFE tariff and this way ensures savings compared to the CFE regulated prices. The majority of the power consumers in Mexico has this type of contract. But is this still the best option? The historical suppliers are trying to keep their clients by offering them long-term contracts with a price reduction on the CFE tariff, right before the market is opening. At first sight, this seems very attractive, but the question is: is this a good choice on a longer term? In many proposals, I see that this option is defined as "zero risk option" and I’m totally against this statement. If the CFE rate goes up, your budget will also rise and this is a high risk for those companies that cannot cope with a strong price increase year after year. During 2017, the CFE tariff in Mexico increased by around 30% compared to the 2016 prices. Can your company handle such increases without losses? It is true that we will improve with respect to our current situation: we will pay the same price of CFE minus a discount. But is this really the best we can do? I doubt it. 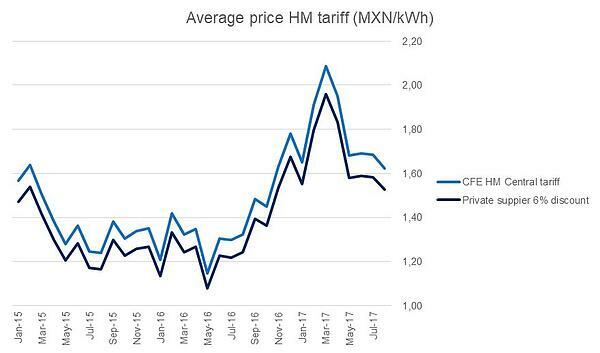 CFE prices are still the market reference in Mexico despite the changes following the new Electricity Industry Law. 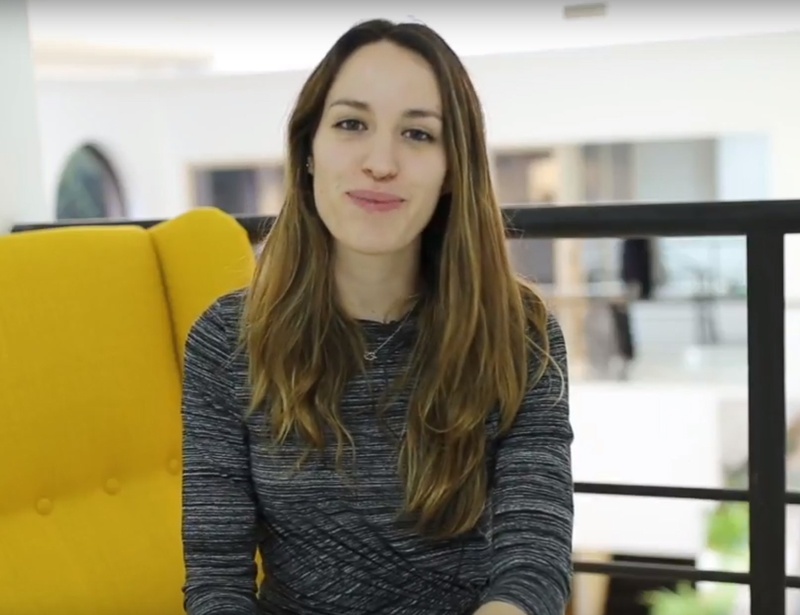 CFE stopped being a state company and finally at the end of 2017 we saw important changes, which makes us think that this rate will stop being a reference in the near future. CFE must publish its calculation methodology and it’s no longer receiving subsidies in order to promote competition in the market. However, what are the drawbacks we see in this product? It does not allow us to have control over our budget. CFE prices are always published during the current month. It is not possible to estimate which will be our cost in the future and we cannot manage the risk either. This situation is something that a budget risk customer cannot support. They are usually long-term contracts. Mexico is one of the most recent Latin American markets that went through the deregulation process. However, it’s a country that is moving faster and is implementing more and more changes. In a market in the middle of the deregulation process, it is important to have a clause indicating what will happen if market conditions change. To participate in a model of self-supply, it is necessary to establish a partnership between the generator and the consumer. This can take between 8 and 10 months until the supply begins. The generator cannot supply 100% of the demand to the consumer partner. The consumer must leave part of its consumption under CFE. This kind of agreement is one of the many options present in the market today, but not always the best. It will depend on what the interests of the consumer are. If our main interest is to be at a market average and we have defined a market-risk client strategy, it is a good option since we will not only follow the market reference, but we will also be below it. In case budget stability is our main concern and we have developed a budget-risk client strategy in other countries, this type of contract is not the most appropriate for us. When we identify ourselves as survival-risk client, the ideal option would be to combine different possibilities. What other contracting possibilities do I have? Thanks to the new Electricity Industry Law, there is free access and private trading companies now start to be present in the market. All consumers with a contracted power greater than or equal to 1000 kW can sign a contract with any of these private companies regardless of their location. Only the Baja California Sur system is still isolated. Different products: indexation to the spot market, fixed price, indexation to generation costs, indexation to the gas price with the possibility of coverage, etc. In order to participate in one of these contracts, a tender must be launched to find the supplier that offers the best conditions. In addition, the consumer must register as a Qualified User in the Energy Regulatory Commission. A process that can last about 4 months before the supply begins. What mistakes we see consumers make? I see how most of my clients find it difficult to make a decision under this uncertainty. Will the CFE rate go up or down next month? If I sign a fixed-price contract for 12 months, how do I know that this price will be better than the CFE rate? The answer is simple: we cannot know. As soon as CFE rates go up, I see customers who panic and decide to launch tenders, negotiate contracts, and so on. But, if CFE tariffs go down the next month, they decide to wait. From my point of view, this is not what we should take into account when changing the way to buy electricity in Mexico. The risk of being indexed to CFE is not only that the rate can go up, but that we do not know what it will do even the next month. Many customers decide to wait before signing a contract with another supplier to see what the CFE rate does in the coming months, but does this really tell us something about the future? We don’t think so. I also see how many of my clients feel comfortable with a discount on the CFE rate. The reason for this is what we have already said: we improve with respect to the current situation. Without realizing it, they assume a risk that they would not assume in any other country, where it’s clear for them that the main objective is to have budget stability. I would like to point out to electricity buyers that no one is questioning the potential risk of the spot markets in Europe. Buyers find it risky due to the fact that we can’t control spot prices, not because the price is higher or lower than the spot price. What’s the difference with the CFE tariff? Being under a price that changes every month (instead of every day) and without any possibility to know where it’s heading implies the same risk! Based on my experience, I encourage you to take the initiative and follow the same energy purchasing strategy in Mexico as in other countries. The Mexican electricity market is a new market full of possibilities to improve the purchase of energy by large consumers. As I mentioned earlier, our recommendation will depend on the main objective of the client. To maintain budget or to keep your energy expenses at the market average? Or both? In general terms we can recommend to spread the risk. To do this, one option is to manage your consumption under different products. Maybe we are not sure of migrating with all our consumption to a fixed-price contract, because inevitably we will compare our price against CFE prices in the future, but we can combine both options: have a part of the volume at a fixed price or with the possibility of make hedges and maintain a part in the regulated market under CFE prices or in a self-sufficiency option. If your site has a contracted demand higher than 1MW, you do not need to worry about the CFE tariff evolution as there’s plenty of other options. If you are interested to see which possibilities the market can offer you and discuss what would be the best contracting option for your portfolio, do not hesitate to contact us. Or attend our workshop on buying energy in Latin America at the Transatlantic Energy Conference 2018. Buy your ticket using the promo code BLOG and receive a 10% reduction.